Request a free Knowing God Bookmark! Knowing about God is not the same thing as knowing Him. In order to truly know God, we must understand His character. 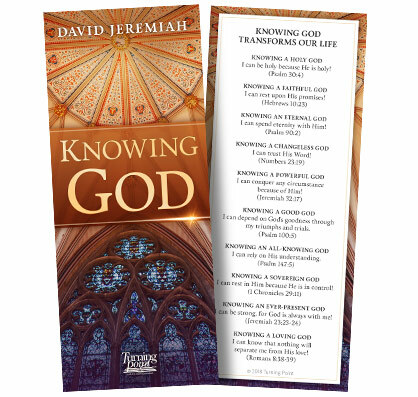 The Knowing God Bookmark will help you understand ten characteristics of God including His holiness, faithfulness, power, and sovereignty, and call you to specifically rely on each characteristic. Each trait also features a verse to help further your study of God. Knowing God is the perfect tool to remind us each day of the incredible qualities of our incredible God!